Delia Smith CBE was more culinary than academically blessed (she left school without a single O-Level) but soon discovered said blessing while working as a waitress at a Paddington restaurant called The Singing Chef. Here she became so inspired by all things culinary that she took herself to the British Library every week to swat up on cookbooks, including that of her heroine Eliza Acton. Her culinary chutzpah meant that she was soon snapped up to write for newspaper columns such as The Evening Standard and Radio Times before making her TV in 70s show Family Fare. She published her first book 'How to Cheat at Cooking' in 1971 and her use of particular ingredients and utensils could lead to an overnight surge in commercial sales (product placement was obviously led rigid back then). Her status as Britain's best-loved cook was sealed. Outside of cooking, Delia's hobbies include religion (she converted to Catholicism in her twenties and has published four spiritual books) and Norwich City F.C., of which she is a joint majority shareholder. 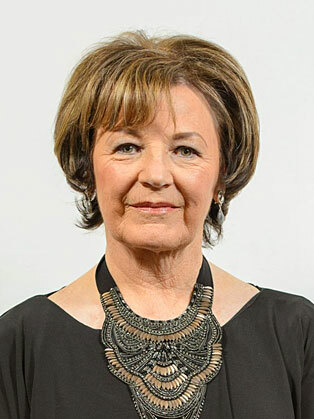 Despite announcing her retirement in 2003, Delia has made several comebacks; most latterly with her 2010 TV series Delia through the Decades and her revival of her original 'How to Cheat at Cooking' book. For her services to cookery Delia received an OBE in 1995 and an MBE in 2009.